Unless you are younger than 3 years old, you probably remember watching the classic movie, The Wizard of Oz. If you haven’t even heard of it, ask your mother or grandmother to fill you in! If you haven’t seen it, have heard all about it, and want to see it, then you’re in for a treat. Beginning Sunday, January 27, 2019, and continuing Tuesday, January 29, and Wednesday, January 30, theaters across the nation will be showing The Wizard of Oz in a local movie theater near you. First premiering in 1939, The Wizard of Oz film starred singer/dancer/actor Judy Garland as Dorothy, as well as a host of unique characters. It was first filmed in black and white, and later produced in Technicolor. The big-screen anniversary celebration is presented on behalf of Turner Classic Movies (TCM) and Fathom Events. 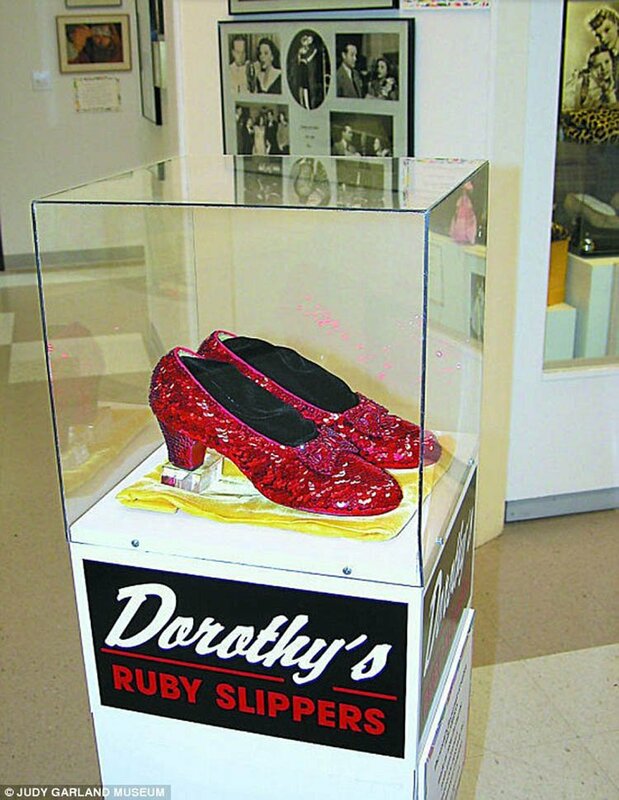 The costumes were designed with such flair and creativity that, in 2005, someone stole one of the four original pairs of ruby slippers worn by Judy Garland, from the Judy Garland Museum in Grand Rapids, Michigan. In September 2018, the FBI recovered the slippers during a sting operation, based on a tip from a man who claimed he had contacted the company that insured the slippers for $1 million. Another pair of the ruby slippers is in Washington, D.C., at the National Museum of American History. One of the pair of ruby slippers worn by Judy Garland in the movie, "The Wizard of Oz." Courtesy: The Judy Garland Museum. 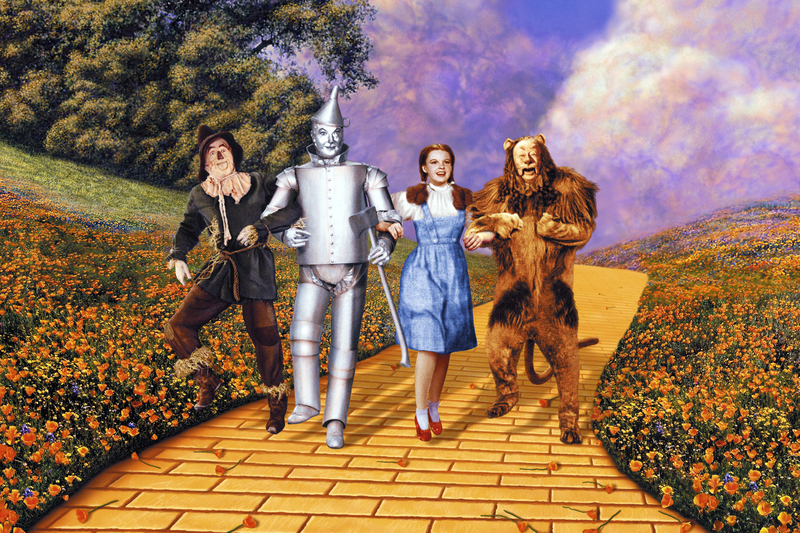 Because of the variety of unique characters, joyful music, and suspenseful storyline, The Wizard of Oz has become recognized as one of the most-watched movies of all time. Unlike the Harry Potter series of movies, the Wizard of Oz, who really isn't a wizard at all, turns out to be kind and thoughtful, with a huge heart. Each character has an unforgettable, one-of-a-kind personality, from the beautiful young girl, to the breathtaking scenery, excellent acting, munchkins, flying monkeys, lollipop kids, and the adorable dog named Toto. But what so many people enjoy most is the moral of the story, "There’s No Place Like Home." To find the nearest theater to you, visit the Fathom website. What's your favorite thing about The Wizard of Oz? Tell us in the comments below! New month, New Netflix titles. Here's what's coming and going from the streaming service in February.